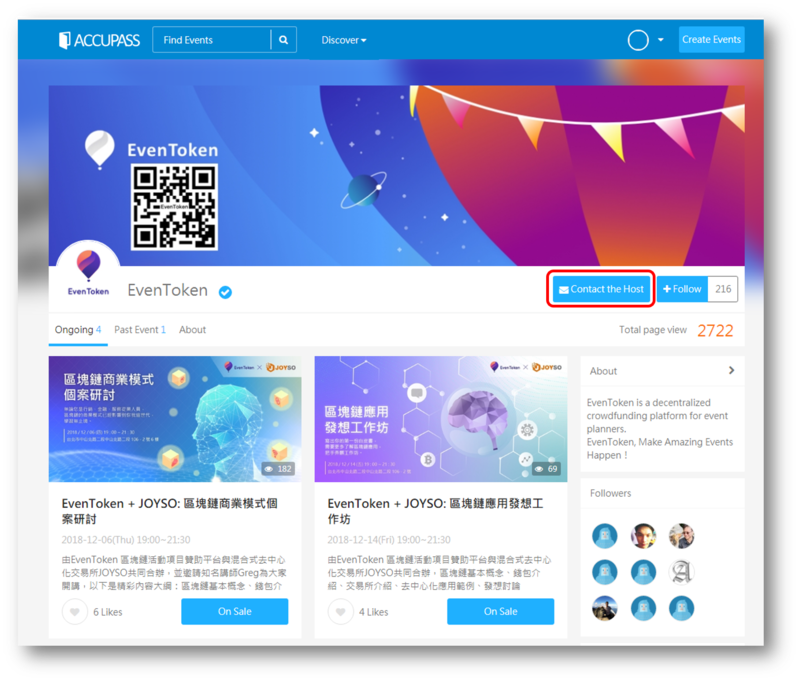 On top of browsing introduction of activities pages, you can contact the organizer when you would like to know more details about the event. 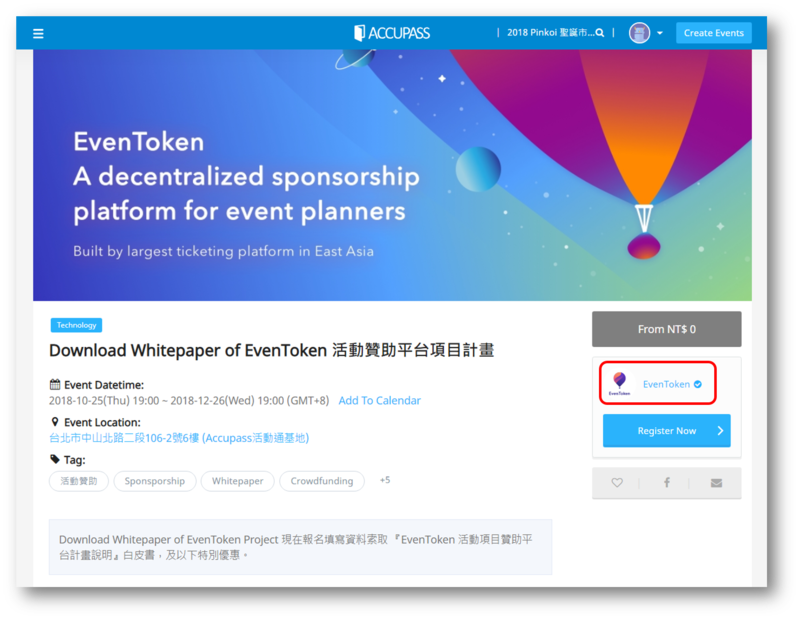 Some organizers will leave contact information on event pages, or Accupass will provide the following four methods for you to contect them directly! 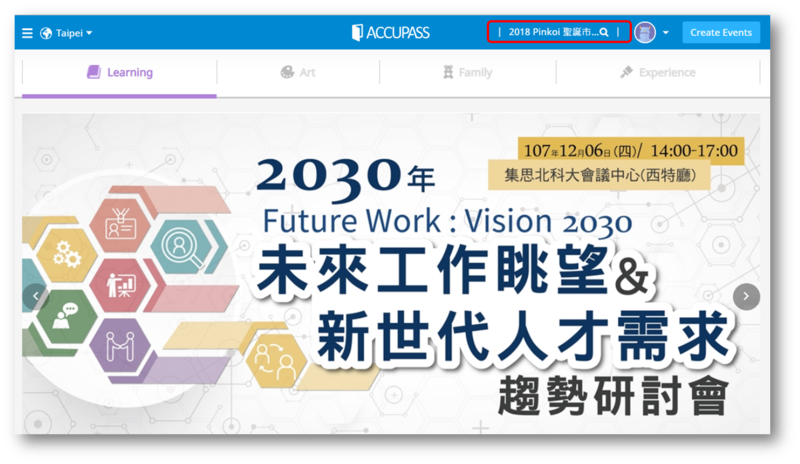 Click on the event page of registered or preferred events or search events on the top '' Search '' in Accupass website. When you click on the button '' Name of organizers '', you will see contact details about the organizers. 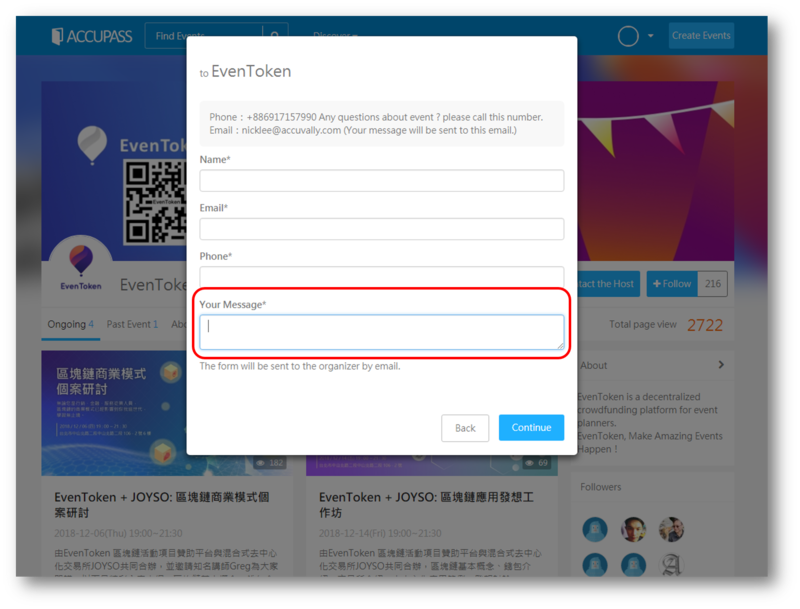 You can enter the overview page of organizers and click on the button '' Contact with organizers '' to let you get contact information. You can write down your questions and leave text messages for organizers. Reminder! Before you click the button '' Send '', please check your contact details including emails and mobile phones are correct.